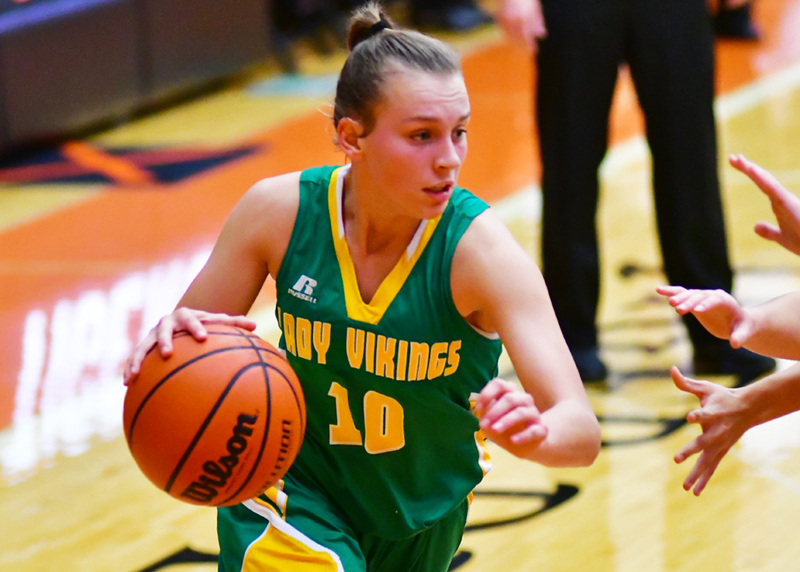 Tippecanoe Valley moved to 2-0 in the Three Rivers Conference with an eight-point win at home over Wabash. A white-hot start for the Lady Vikes saw the home side run out to a 16-2 lead, more than enough to keep distance over the Apaches. Sophie Bussard again was the catalyst for the Vikes, scoring 24 points and pulling down 17 rebounds to lead all players in both categories. Jillian Walls helped the winning cause with nine points. Valley (6-3, 2-0 TRC) will continue on its seven-game homestand with a matchup Wednesday against Triton. Warsaw spread around the love enough to pick up a road win Saturday night at Portage. Maddie Ryman had 11 points, the trio of Brielle Harrison, Kaylee Patton and Abby Sanner all had 10 points and Kensie Ryman ended with eight points in the all-around effort. Harrison led the Lady Tigers with seven rebounds, Sanner had six boards and Patton added four steals and four assists. Kensie Ryman also had four assists. Analise Franklin had 11 points to lead Portage. Warsaw (6-4) will return to the Tiger Den Wednesday for a matchup with Fort Wayne Carroll.